Fall is officially here, and pumpkins are everywhere. So many pumpkin recipes are shared through social media. I tried a couple, but still have a big bowl of pumpkin puree in the refrigerator. I usually get a big pumpkin and make a puree, then substitute it in all the recipes I try for the canned puree. 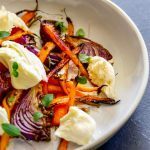 I never really understood why most of the recipes I come across use canned pumpkin when there are so many fresh, beautiful pumpkins all over this time of the year. Anyway, the parts of the pumpkin I don’t use I give to the chickens. 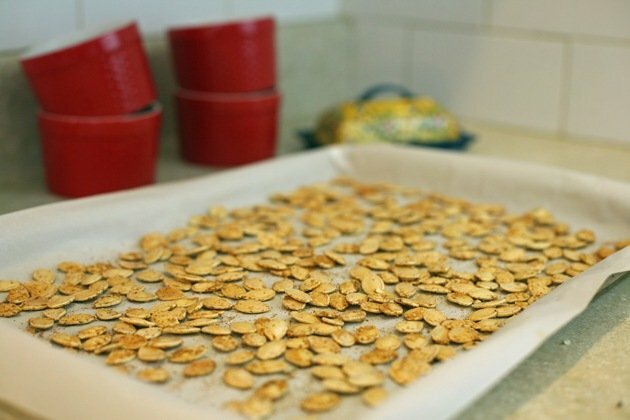 Not the seeds, though… I roast the seeds in the oven, and we use them for snacking. 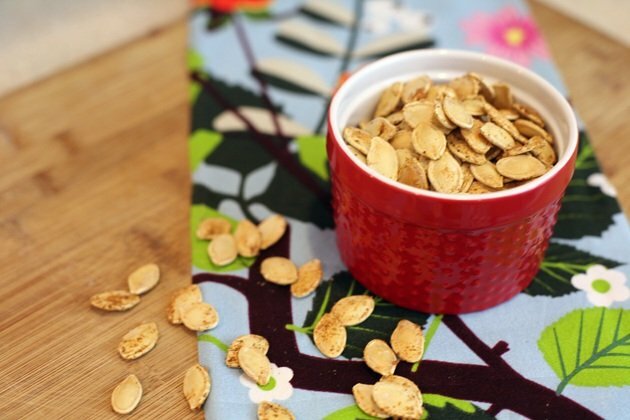 Pumpkin seeds are rich in magnesium, which helps to prevent headaches among a million other good things it does in our body. 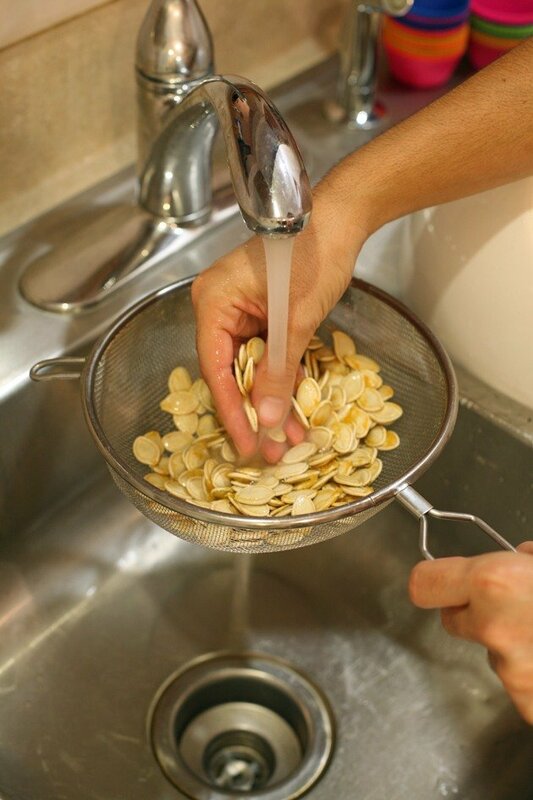 Pumpkin seeds promote a healthy bowel movement (always important! ), and support the immune system which is very important at this time of the year. 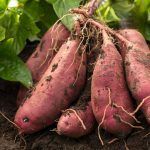 They are also an excellent source of plant based omega-3 and full of antioxidants, fiber, and healthy fats. They can even help with a restful night sleep! 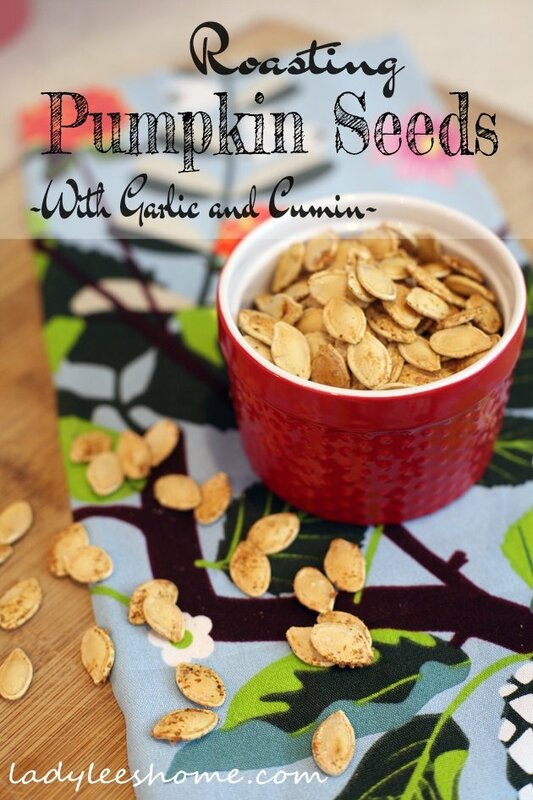 Whatever you are going to use your pumpkin for… Don’t get rid of the seeds! 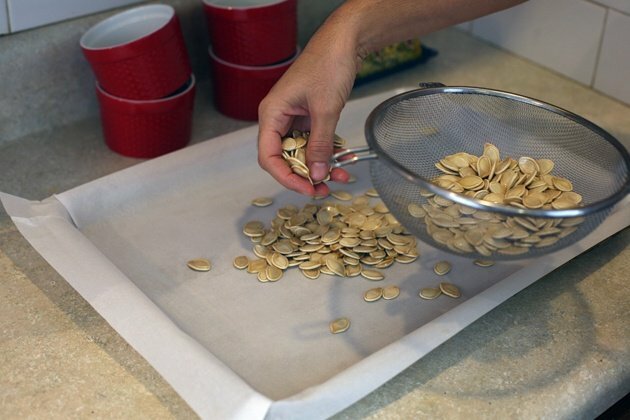 There are so many ways to spice pumpkin seeds before roasting them, but I like to keep it simple. So you wrestled with your pumpkin and got the seeds out. Next step is to place them in a colander and give them a good rinse. Then, leave them in the colander for a few minutes to dry. After a few minutes, transfer them to a baking sheet lined with parchment paper. Sprinkle sea salt (I used Himalayan salt here…), black pepper, cumin, and garlic powder. Toss them around to coat with the spices and then set them in a single layer. Preheat oven to 300F and roast for 45 minutes or until golden. 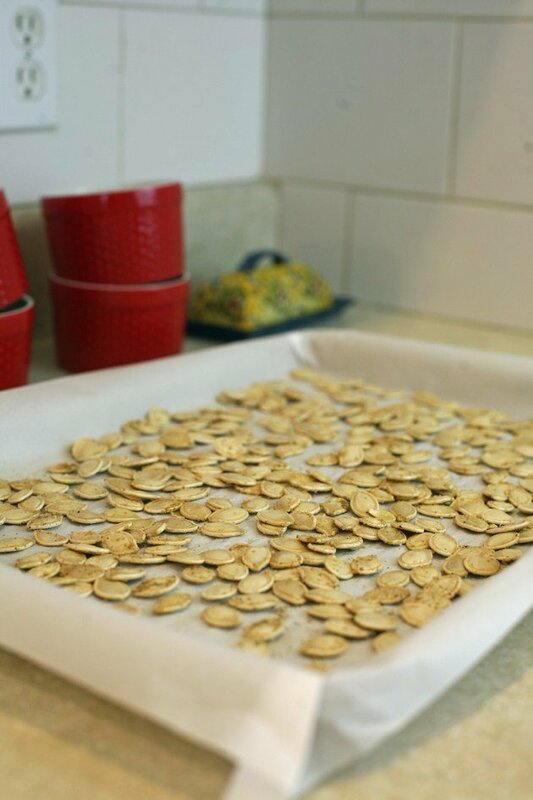 Take the seeds out of the oven and let them cool for a few minutes. Keep them in an airtight container. If you end up making a large amount of roasted seeds you can keep them in the freezer for a long long time. Give this a try next time you use a fresh pumpkin. 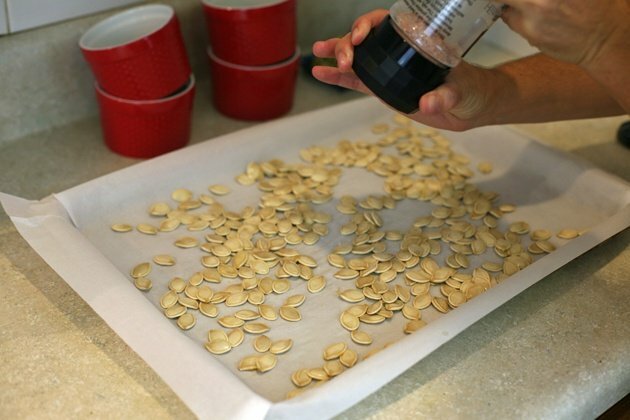 If you roasted pumpkin seeds before, what is your favorite way of spicing them?